Pitachak Yoswaranont had a varied career before he decided to pursue his MBA. The many feathers in his cap included sales and marketing, investment banking, and professional golf. However, after five years of work, he decided that he needed further development to move into a more advanced management role, an aim he’s since realized by becoming country director of commercial partnerships with ONE Championship—the biggest sports media company in Asia. What Pitachak wanted most from his MBA was a deeper understanding of strategy and general management, which is what led him to Aston Business School—ranked fifth in the UK in the Eduniversal Best Masters Ranking 2017. The school offers modules focused on strategy including Crafting Strategy, Leading Strategically: Implementing Change, and Leading Strategically: Shaping Complex Organizations. “The professors and research work done at Aston were all focused on strategy. I knew finance and had technical knowledge, so strategy management appealed to me,” he recalls. 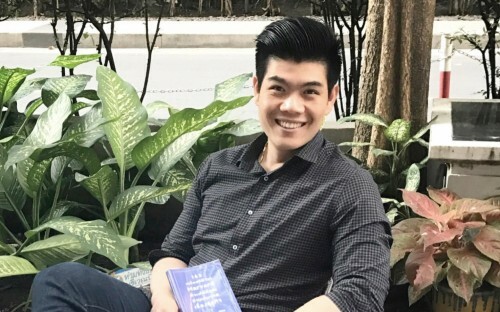 Originally from Thailand, Pitachak completed an undergraduate degree in the US, but chose the UK for his MBA—it was the appeal of the shorter, one-year program and the chance to experience somewhere new. As he eludes to, all Aston MBA students conclude their study with a major business project that allows them to test their newly acquired knowledge in real life. For Pitachak this was an invaluable experience that gave him his first exposure to global business—he worked with GSK. “Opportunities to intern with big companies at Aston Business School was a huge bonus. I was one of four in my class to be picked for the internship with GSK. This was my first time working in a big company,” he says. “Previously, I had always worked in small and medium sized businesses or an entrepreneurial environment. Here, I was exposed to a complex organization, where there are more processes and systems in place. In fact, Pitachak’s MBA experience equipped him with skills beyond the strategy knowledge he initially sought. As well as the exposure to global business, he also learned first-hand the advantages of diversity, and how to build effective teams through interacting with his class. “I was very impressed with how people in my cohort were really enthusiastic to help each other out,” he recalls. “The learning process at this level was completely different. Everyone contributed for the betterment of others’ experience, and this really made a difference. It’s this breadth and depth of the Aston Business School experience that has stayed with him through his career and still proves relevant today.